After a failed boardroom coup, hedgie Chris Hohn reckons the $20 bln London Stock Exchange could be bought by a U.S. rival, according to Sky. A deal with, say, ICE, would create savings and scale in derivatives clearing. But the latter could prompt the UK government to object. 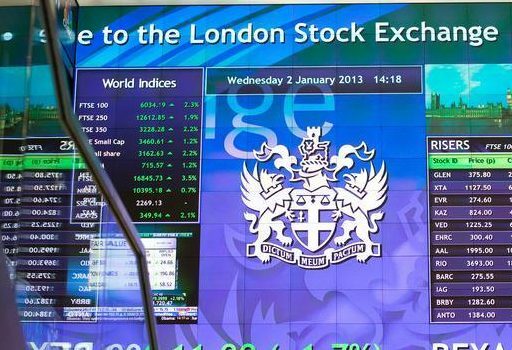 Workers speak above an electronic information board at the London Stock Exchange in the City of London. Chris Hohn, who tried to oust London Stock Exchange’s chairman last year, recently told investors that the group could be taken over by a U.S. exchange, according to a Sky News report on Jan. 24. Hohn runs TCI Fund Management, which owns a 5.17 percent stake in LSE. He predicted the group could be taken over by either CME Group, which owns the Chicago Mercantile Exchange, or the New York Stock Exchange’s parent, Intercontinental Exchange, Sky News reported. Hohn failed to oust LSE chairman Donald Brydon at a shareholder meeting last December. The activist investor had demanded the meeting after accusing the exchange’s board of forcing out former chief executive Xavier Rolet.